Hope you all had a great weekend! We kept the grandkids, and it was a little bit of a challenge because the weather was so cold and windy on Saturday. We had them out for a bit, and the little one almost blew away (no joke)! Also, we took them to lunch and then bribed them to go and visit my dad in the skilled nursing center he is in. Skilled nursing facilities are no joke, but my grandchildren said some funny things while we were there. They wanted to know why everyone there was old! They were great and behaved, so they got the treat we had promised, which was a visit to a store called It’Sugar that is a candy lovers dream. I have been once before but it is something to see! There was a lot of debating over which kinds of candy to get so we had to get a lot (we monitored the consumption). We stayed in both nights with them here, so the weekend was very uneventful for us. 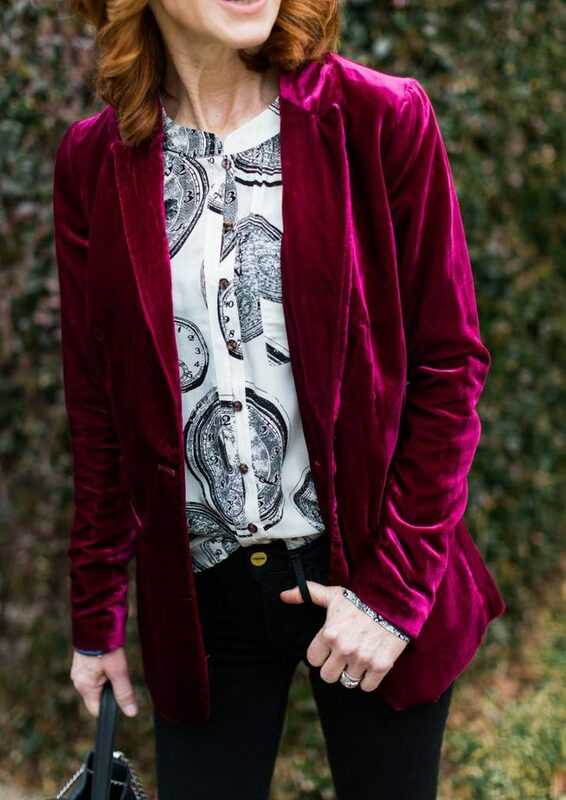 Today, however, is about this hot pink velvet jacket. 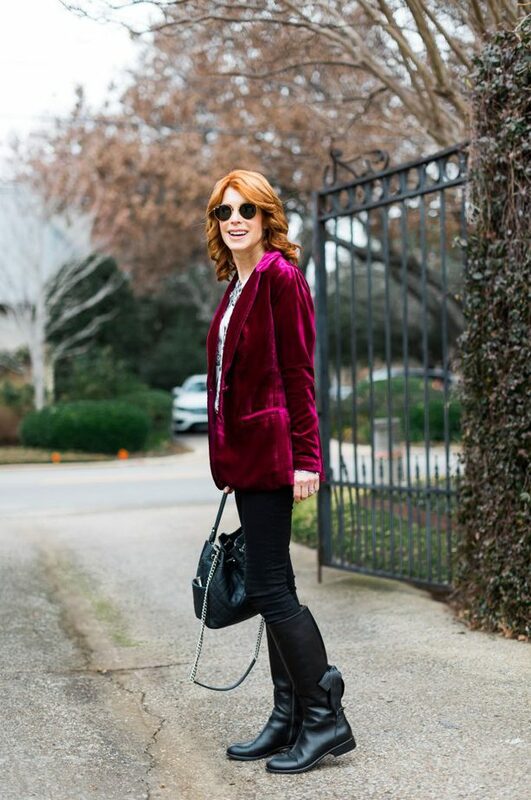 Since Valentine’s Day is around the corner, I wanted to show this fantastic hot pink velvet jacket that is perfect for Valentine’s dinner out or to wear during February. It’s on sale and selling very quickly, but I am linking a few others that would fit the bill as well, like this one and this one. The blouse I am wearing underneath is the same one (in a different print that I wore here and here). Obviously, I like it a lot! 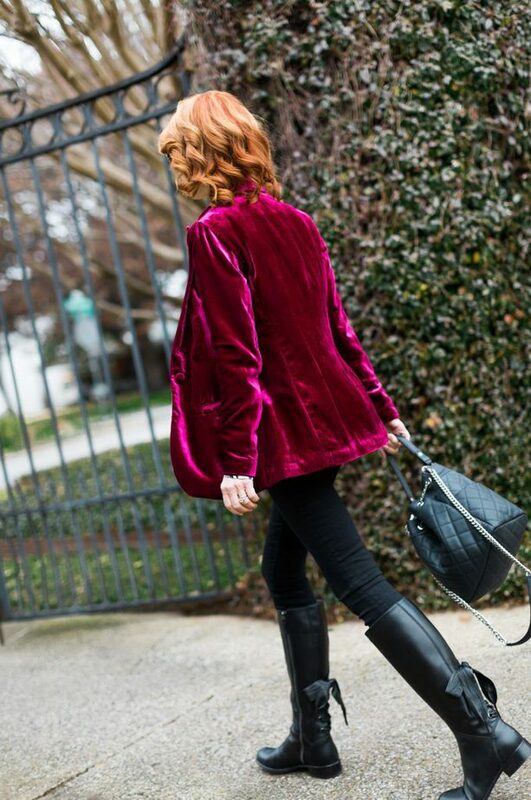 The boots I am sporting are older, but any black leather boot will look good with this outfit. I found the exact pair at the Real Real here. There are more pairs and sizes to choose from too. 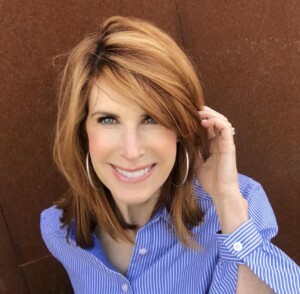 After the grandkids left yesterday, I took some time and picked out my favorite Valentine’s Day gifts (plus more) to give everyone that I need to buy a little something for, plus some things I like for me! I am including them at the end of this post. I might help my mom bust my dad out of the place he is staying in today, whether we get the okay or not (we have it from the doctor). Y’all, this place hasn’t done a damn thing for him the three days he has been there. He is supposed to have three hours of therapy a day and he’s probably gotten fifteen minutes a day (I know it was the weekend, but he was supposed to have had some therapy). Plus, he is supposed to have help getting up and walking. He did it without anyone around yesterday. We asked for a shower for him for three days and finally got one yesterday. I have been livid all weekend with what has gone on with him. I just know that I need to keep my parents from ever needing to go to a skilled nursing facility if I can help it and I can tell you that I NEVER want to go to one either! No offense to any nurses reading this. It’s just a really sad place to be. 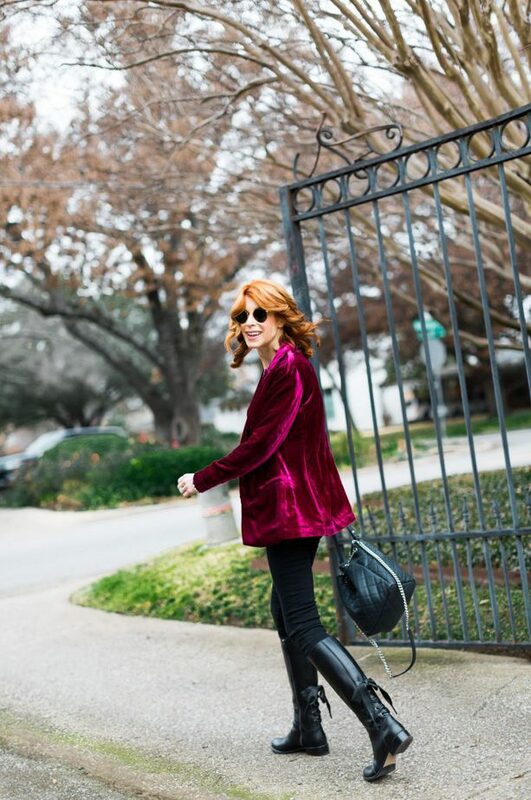 Share the post "HOT PINK VELVET JACKET"
Hi Cathy! I hope your dad is ok and I’m so sorry about what you all have had to go through. My dad always used to say that getting old isn’t for sissies. I’m sure he enjoyed visiting with you all and it was the bright spot in his day. Children certainly have that effect. 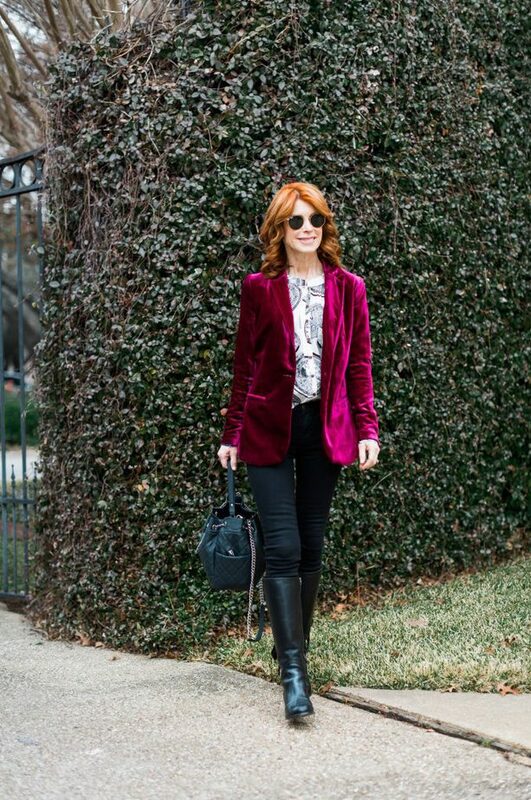 I really love this pink velvet jacket and I think it’s perfect for Valentine’s Day. 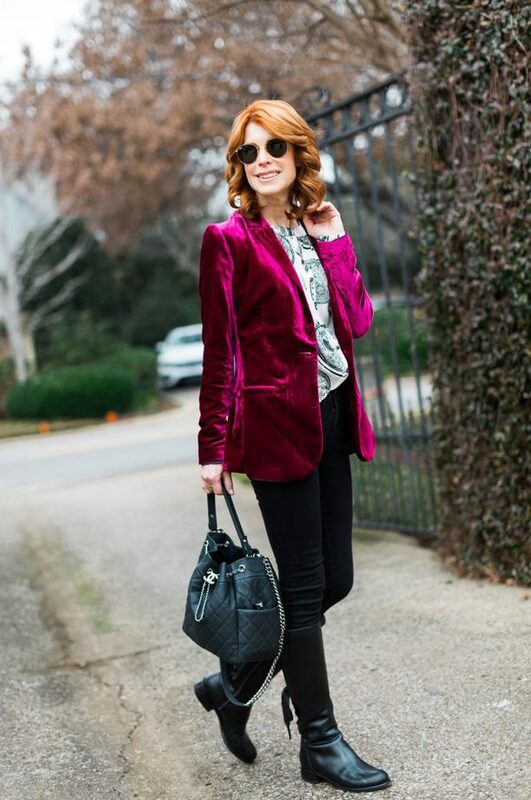 Seems like it would be very versatile and you’ve styled it beautifully. Thanks also for the great gift ideas!